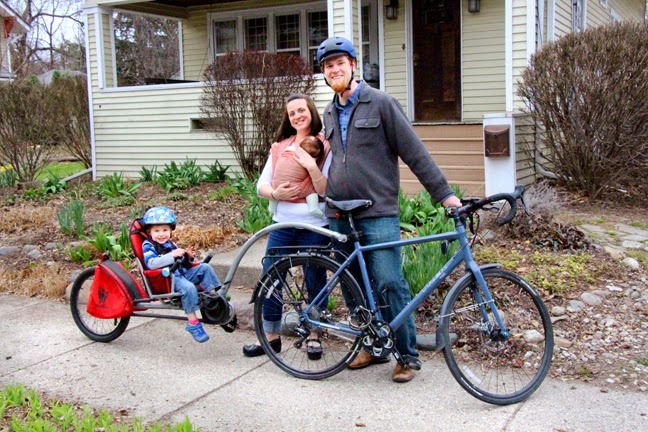 John Lindenmayer and Sarah Schillio have been living in the Eastside of Lansing for 10 years. 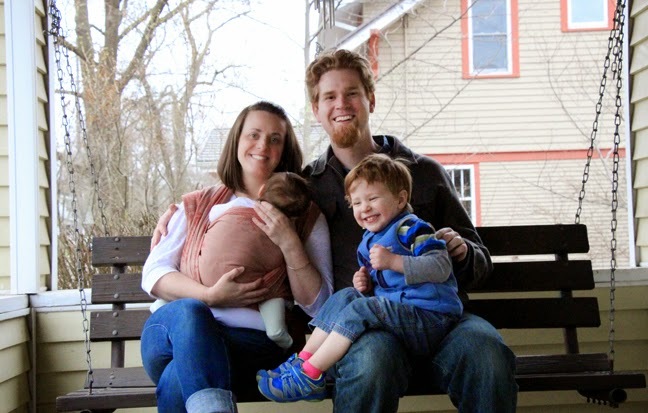 They started first by renting a house and later bought their own just a few blocks away. 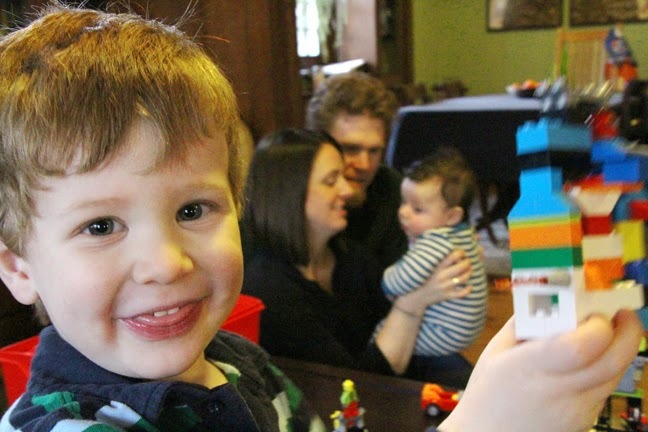 They have two sons, 3-year-old Rowan and 3-month-old Reid. 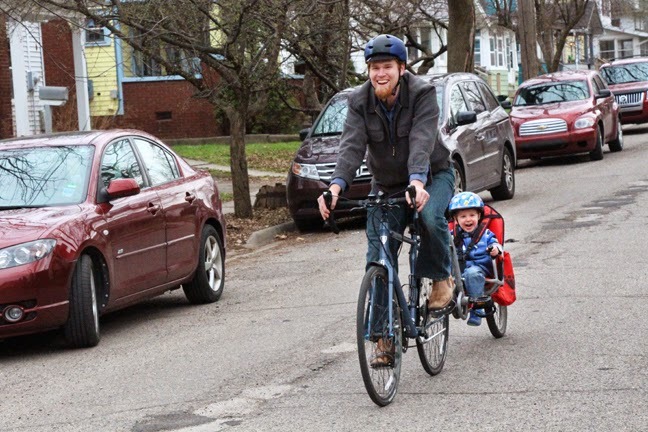 John is director of the League of Michigan Bicyclists which promotes bicycling and bicycle safety, and he was largely responsible for the creation of the Michigan Complete Streets Coalition, a grassroots movement that promotes statewide Complete Streets policy and supports local community initiatives. John is also on the board of the Mid-Michigan Environmental Action Council. Sarah works as a legislative aide at the Michigan House of Representatives and is current president at the Allen Neighborhood Center. John and Sarah love the sense of community, connection and diversity they feel on the Eastside. Affordability and easy access drew them to the neighborhood. It’s easy to travel by bike, and a major bus line is close by. They are also within walking distance of community gardens, local businesses and parks. They love being so close to work and the fact that they are only minutes away from both downtown Lansing and MSU. They love the down-to-earth feeling they get from living on the Eastside with so many neighbors doing innovative work to revitalize the community.